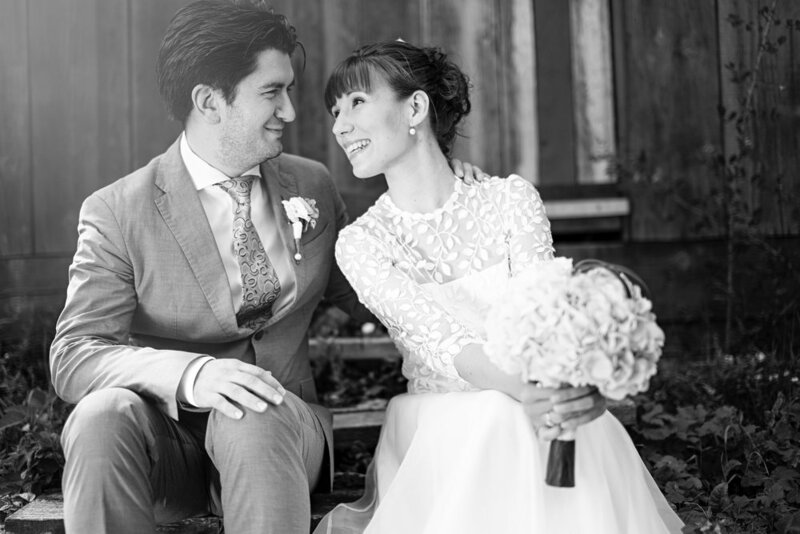 If you're looking for a classic approach to your nuptials, a black and white wedding might be the perfect solution. Not only is the color scheme appropriate for every season, but it is also endlessly customizable. Add pops of gold for a glamorous feel, or bring in unusual elements like black and white roses or a black fascinator for a classic-meets-Goth affair. It's beautiful under a tent during the warm summer months, yet it feels cozy for a holiday winter wedding, too. It's also a very forgiving color scheme since it will work within the majority of venues: that translates to a lower decoration budget since you won't feel the need to cover up every inch of your ceremony and reception venues to create the perfect mood. 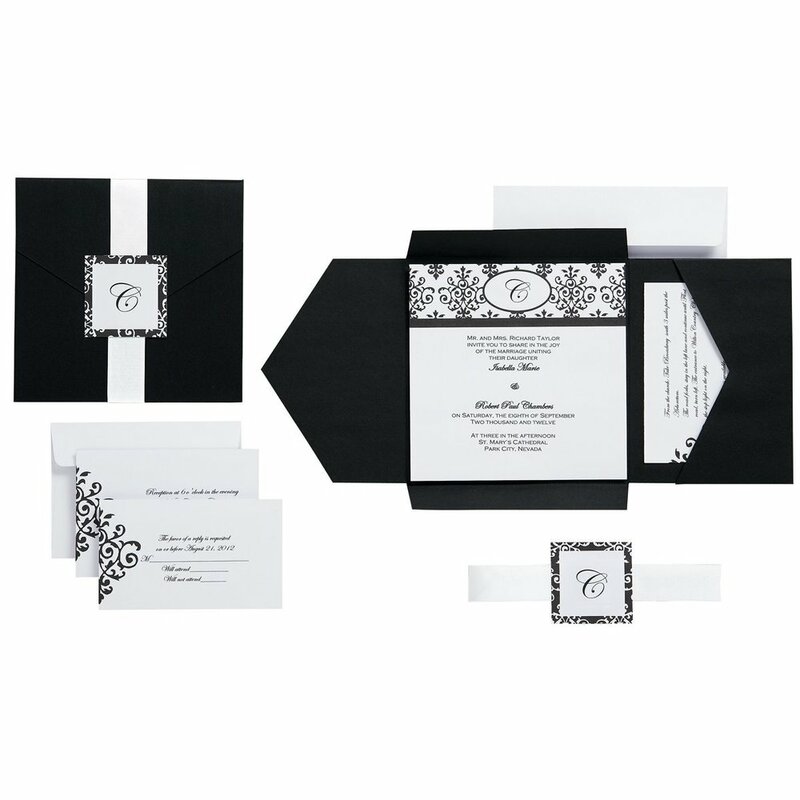 We also love black and white weddings since there are so many fun patterns that you can use in lieu of pops of color. A damask ribbon, some black and white polka dotted napkins, or striped table runners create incredible contrast while still sticking to your theme. Best of all, black and white patterns are usually very easy to find, so there's less need to special order them. Are you ready to plan a black and white wedding now? What is your favorite element in the mood board?